When you think of your health, what comes to mind? Do you think about being physically fit? Do you think about the long hours you should spend at the gym or how your diet (or lack thereof) affects your day? These aspects of health—exercise and diet—tend to get the majority of our attention due to our fast-paced lifestyle. But a large component of health is wellness—creating a balance between mind, body, and spirit—and finding that balance is just as important as maintaining a healthy fitness and diet regimen. In order to achieve this sense of well-being, a different approach to physical activity is needed. Forget the gyms—head to a place that speaks to your soul! 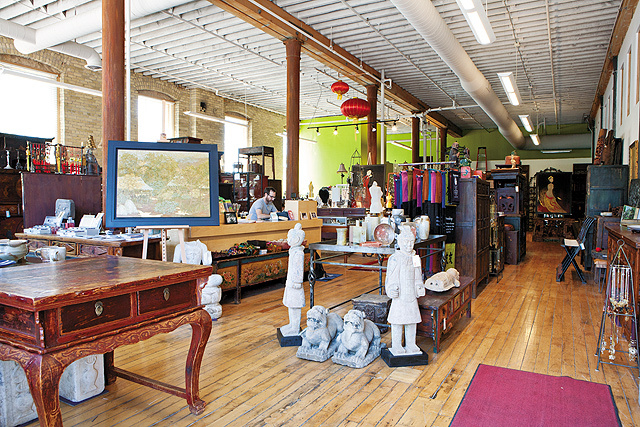 At Jeromeo Curiosity Shoppe and Wellness Center, located conveniently in the North Loop neighborhood, there are countless opportunities to improve your wellness and become more connected with your body, mind, and spirit. One way to improve overall wellness and to become more aware of your mind-body connection is through the practice of yoga. In addition to being an excellent activity for improving strength and flexibility, yoga allows participants to focus on the connection between mind and body. Unlike many corporate yoga studios, Jeromeo yoga classes focus strongly on the practice of yoga and being mindful in that practice. Jeromeo offers several different types of yoga classes throughout the week, including Beginning Yoga, Vinyasa Yoga, Fitness Yoga, and “Candlelite Yoga.” All classes are geared toward all levels of yogis, and they are taught by certified instructors who strive to meet each individual at their own personal levels. 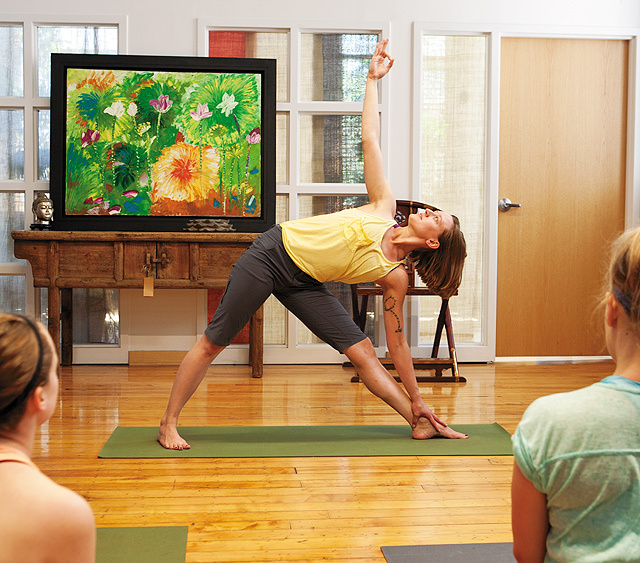 Johnson notes, “It means more personal connection to the instructor and each other, instead of an in-and-out structure.” Held in studios with high ceilings and floor-to-ceiling windows, these classes allow participants to work toward mindfulness in a beautiful and inspiring setting. Another way to improve your sense of well-being is to take time to appreciate beautiful, creative things. Jeromeo’s Curiosity Shoppe contains something for everyone; from a seemingly endless amount of essential oils and body products to artifacts from around the world (and just around the corner), you’ll find something that makes your day a bit more positive. 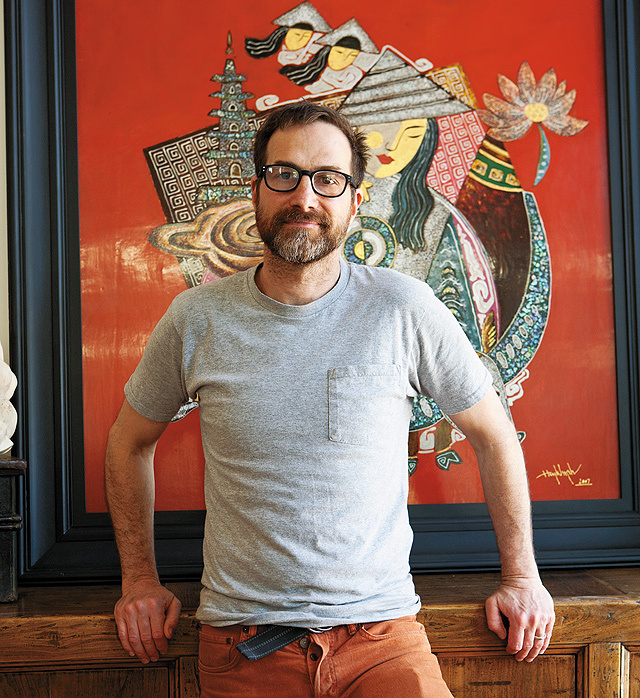 Johnson plays a large role in selecting every item in the store’s catalog; he discovers and acquires unique items while traveling the world, and he handcrafts a large portion of the jewelry sold in the shoppe as well. Johnson’s attention to detail and his eye for exceptional craftsmanship make each item in the store a treasure to behold. 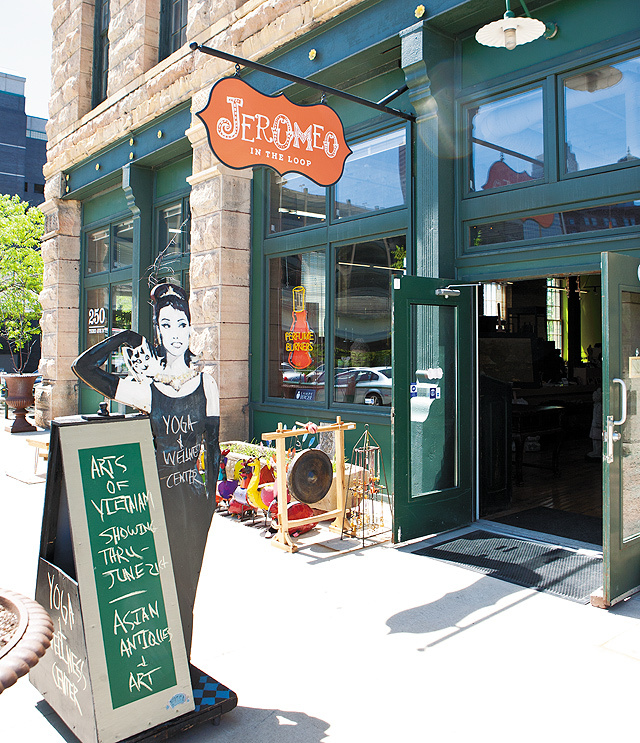 In addition to the pieces of art in the Curiosity Shoppe, Jeromeo also acts as an art gallery for artwork from around the world. Currently on display is the Arts of Vietnam show, featuring lacquer paintings by four Vietnamese artists and a collection of Vietnamese gongs. The artwork will be on display until June 21 in the Jeromeo studios. Next time you need a break from the hustle and bustle of the city, skip the gym and step through Jeromeo’s doors. Marvel at artwork from around the world. Peruse the beautiful items in the Curiosity Shoppe. Find your breath at a yoga class. Just press “pause” on the busy world around you, and restore the balance in your life. For more information about Jeromeo Curiosity Shoppe and Wellness Center, to book a bodywork appointment, or to view yoga class schedules, visit www.jeromeo.com. New yoga students receive one free week of yoga, and their first month of unlimited yoga for $39. Other pricing packages are available based on frequency of attendance.